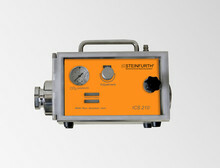 The Steinfurth CO2 Tester CDA MK-6 is a machine for CO2 measurements in packed beverages. The CO2 Tank & KEG Tester automatically calculates the CO2 content in a tank or KEG. 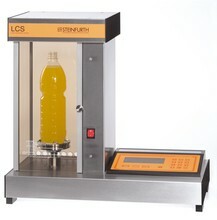 The LCS710P Laboratory Carbonation System is used for the carbonation of beverages. The ICS 610 Inline Carbonation System is used for the inline carbonation of beverages. The new designed ICS 210 carbonator makes it easy to adjust the optimal content of carbon dioxide in wines. The CARBOLAC is used in the cheese production as a means of metering the CO2 content. The Auto Sampler AS380C is used to take pressurized samples from packed beverages. Steinfurth Sampler (Probeentnahmessystem) The sampler is used for taking samples from packed beverages without CO2 loss, e. g. for gas analyses. The Steinfurth Bottle Pressure Tester is easily attached to glass bottles with crown closures or PET bottles. It pierces the closure, and the internal pressure can be read from the digital or analogue pressure gauge.